Spacious 4 bedroom 3 full bath ranch with fully finished basement on nearly 1/2 acre. Formal living room has large bow window for lots of natural light open to formal dining room. Eat in kitchen features granite counters, newer SS appliances (2013) french doors to 26x14 patio perfect for grilling and outside dining. Add'l family room also on main level w/fireplace, skylight and slider to patio.Hardwood floors throughout main living area and under carpeting. Fully renovated basement in 2018 includes game room, bonus room, home office w/full bathroom and laundry room w/2013 washer/dryer. New high-efficiency Buderus furnace with in-direct water heater 2017 on its own zone. Roof 9 years old 30 year warranty. Freshly painted interior. Private back yard off patio.Beautifully done paver walkway to back yard. Fantastic property for entertaining. So much room inside and out for gatherings with friends and family. 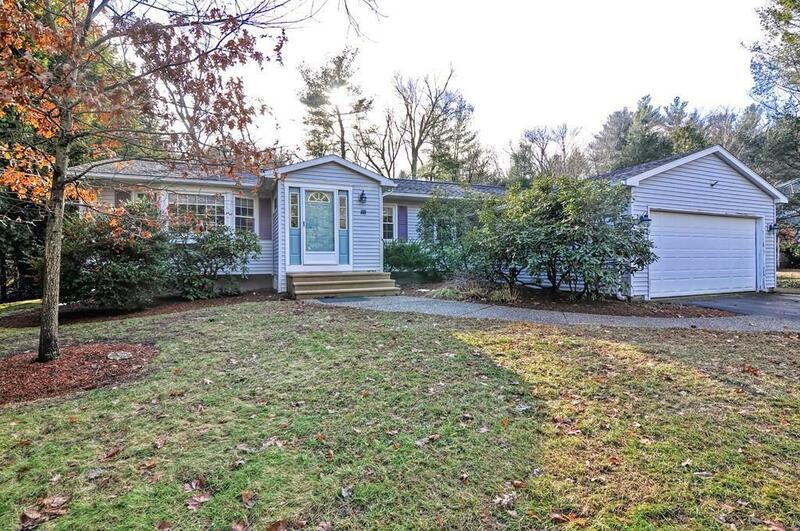 Great commuting location near Ashland commuter rail & Rt 9.